A dual biography crafted around the famous encounter between the French philosopher who wrote about power and the Russian empress who wielded it with great aplomb. In October 1773, after a grueling trek from Paris, the aged and ailing Denis Diderot stumbled from a carriage in wintery St. Petersburg. 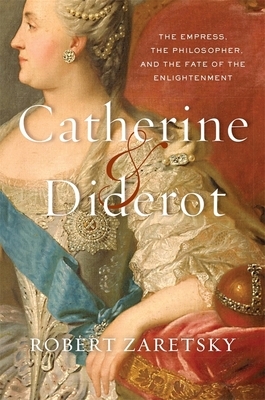 The century's most subversive thinker, Diderot arrived as the guest of its most ambitious and admired ruler, Empress Catherine of Russia. What followed was unprecedented: more than forty private meetings, stretching over nearly four months, between these two extraordinary figures. Diderot had come from Paris in order to guide--or so he thought--the woman who had become the continent's last great hope for an enlightened ruler. But as it soon became clear, Catherine had a very different understanding not just of her role but of his as well. Philosophers, she claimed, had the luxury of writing on unfeeling paper. Rulers had the task of writing on human skin, sensitive to the slightest touch. Diderot and Catherine's series of meetings, held in her private chambers at the Hermitage, captured the imagination of their contemporaries. While heads of state like Frederick of Prussia feared the consequences of these conversations, intellectuals like Voltaire hoped they would further the goals of the Enlightenment.